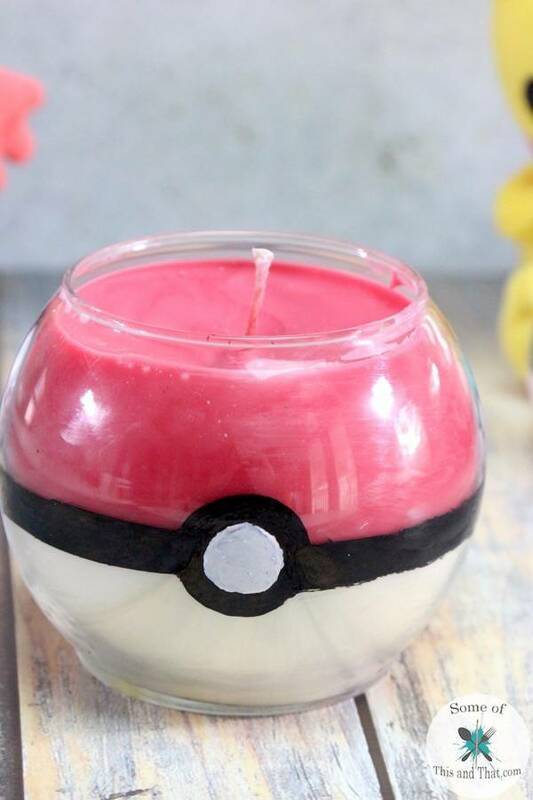 DIY Pokeball Candle! | Nerdy Crafts! I have been on a candle making frenzy lately. Mostly because I just can not find any fun “nerdy” candles for my office. Since I am almost done with my office remodel, I wanted some nerdy decor that I did not have to spend a fortune on. I needed candles, so I decided to make my own! 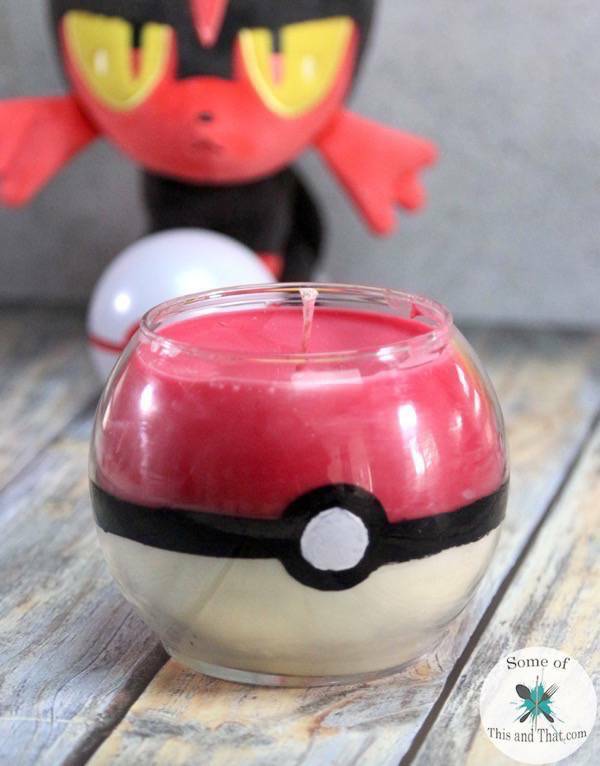 Today I am going to show you how I made this fun DIY Pokeball candle! The best part is that most of the items used were from the Dollar Tree! I recycled candles from the Dollar tree by melting them down, and you can reuse the wicks to make new candles! The container used was also from the Dollar store! The only things not from the Dollar Tree was the Sharpie Oil Based Markers, which I already on hand! 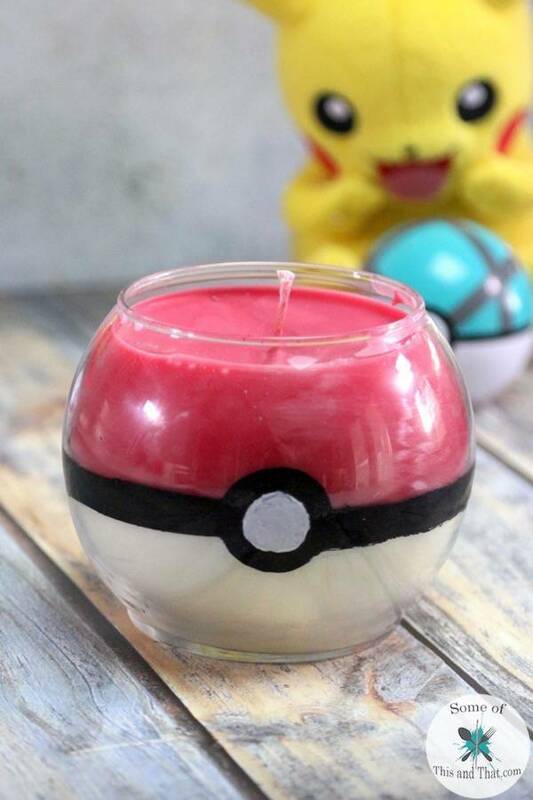 So, in total I spent $5 to make an awesome DIY Pokeball Candle! 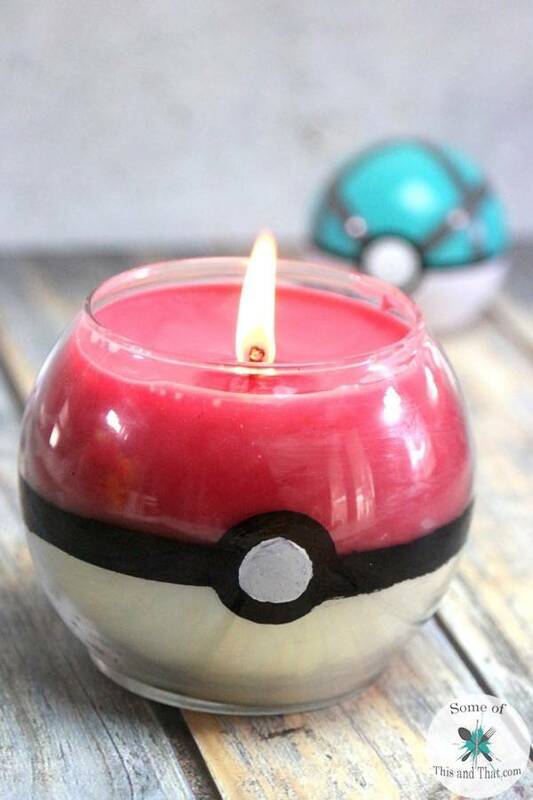 To learn how to make this DIY Pokeball Candle, check out the video below! The candle turned out perfect and a can not wait to make some more different nerdy themed candles! I can not wait to finish decorating my office, it is not a complete remodel, but there are some major changes going on! It will soon be my own little nerdy sanctuary! Do you have a favorite Pokemon? While I will always love Pikachu, Charizard is my all time favorite! Previous Post: « DIY Harry Potter Apron!